Bossiney Bay Cottages in Tintagel sleeps between 2 and 4 people, with the accommodation being apartments and cottages. Bossiney Bay Cottages is located in a picturesque valley just a short stroll from a secluded sandy bay and only 5 minutes’ drive from historic Tintagel. Small and scenic, this rural idyll creates a sublime retreat for families, friends and special celebrations on the magnificent North Cornwall coastline. A real hidden gem. Surrounded by an Area of Outstanding Natural Beauty, these boutique cottages and apartments reflect their unique setting with a seamless blend of style, space and sumptuous home from home comfort, beautifully complemented by verandahs with some boasting luxurious hot tubs perfect for soaking up the sun, or sinking back and drinking in the spectacular panoramic views. If you want to find out what other people have said about Bossiney Bay Cottages, read the reviews on Bossiney Bay Cottages for more information. And, for those last minute bargains, have a look at some of the special offers available at Bossiney Bay Cottages. "Charming and cosy single storey apartment, perfect for couples looking for a traditional cornish home from home. One double. Shower. Open plan lounge, well equipped kitchen and dining area." "Spacious Cornish terraced cottage with one double and one twin. Open plan lounge, well equipped modern and contemporary kitchen and dining area. Bath and/or shower. Garden area with garden furniture and outdoor hot tub." "Traditional cornish terraced cottage with one double and one twin. Open plan lounge, well equipped kitchen and dining area. Bath and/or shower. Garden area with garden furniture and outdoor hot tub." Find out about Bossiney Bay Cottages, including prices and availability. 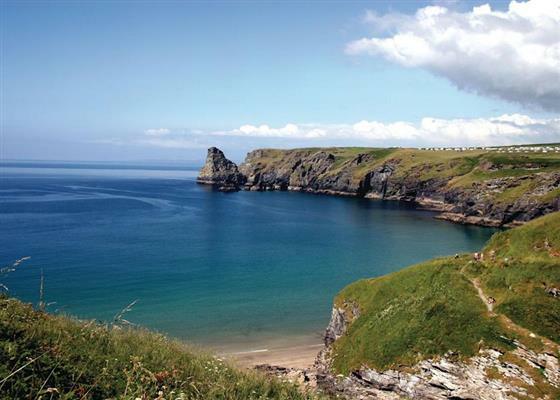 There are 36 holiday parks within 5 miles of Bossiney Bay Cottages. Lower Margate in Bodmin, Cornwall, and sleeps 10 people. 14 miles. Monks Cottage in Braunton, Devon, and sleeps 4 people. 40 miles. Warleigh Lodge in Plymouth, Devon. 30 miles. Georges Cottage in Clovelly, Devon. 28 miles. Bay Cottage in Newquay, Cornwall. 23 miles. Woodlands in Gunnislake, Cornwall. 24 miles. Bannisters in St. Agnes, Cornwall, and sleeps 4 people. 32 miles. The Cabin in Port Isaac, Cornwall, and sleeps 2 people. 7 miles. Trewennick House in Ashwater, Devon, and sleeps 9 people. 19 miles. Chy-An-Eglos in Wadebridge, Cornwall, and sleeps 2 people. 10 miles. Lake House in Torrington, Devon. 35 miles. Pear Tree Cottage in Bishops Nympton, Devon. 48 miles. Chilsworthy Farm Cottage in Callington, Cornwall, and sleeps 3 people. 24 miles. Threshing Farm in Barnstaple, Devon. 48 miles. Fishermans Cottage in Mevagissey, Cornwall, and sleeps 4 people. 27 miles. Lilac Cottage in Bude, Cornwall, and sleeps 8 people. 15 miles. The Retreat in Harbertonford, Devon, and sleeps 6 people. 49 miles. Trethiggey Farmhouse in Newquay, Cornwall. 23 miles. Starfish Cottage in St Ives, Cornwall, and sleeps 4 people. 45 miles. The Bolt Hole in Tavistock, Devon. 30 miles. Little Pengarrock in Helston, Cornwall, and sleeps 6 people. 44 miles. Bee Bowl Cottage in Bideford, Devon, and sleeps 5 people. 33 miles. Dilly Dally Barn in Holsworthy, Devon, and sleeps 5 people. 20 miles. Haven Cottage in Port Isaac, Cornwall, and sleeps 4 people. 7 miles. Ridgefield House in Longdown, Devon, and sleeps 8 people. 49 miles. The Mowhay in Redruth, Cornwall, and sleeps 4 people. 37 miles. Higher Thorne Cottage in Bodmin, Cornwall, and sleeps 8 people. 14 miles. Rock Cottage in Barnstaple, Devon, and sleeps 8 people. 46 miles. Little Acre in Porthtowan, Cornwall, and sleeps 6 people. 34 miles. Driftwood Cottage in Falmouth, Cornwall, and sleeps 5 people. 40 miles. Wenford Hall in St Breward, Cornwall, and sleeps 10 people. 9 miles. Christmas Cottage in Chulmleigh, Devon, and sleeps 6 people. 37 miles. The Blacksmiths Shop in Bodmin, Cornwall, and sleeps 2 people. 19 miles. Lynches in Bideford, Devon, and sleeps 8 people. 28 miles. Swinnerton in Bantham, Devon, and sleeps 8 people. 47 miles. Old Traine Barn in Modbury, Devon, and sleeps 10 people. 43 miles. Hollywell Barn in Liskeard, Cornwall, and sleeps 6 people. 21 miles. Corner Cottage in Chagford, Devon, and sleeps 6 people. 40 miles. Monkey Puzzle Cottage in Bude, Devon, and sleeps 9 people. 20 miles. Lower Manor Farm in Ringmore, Devon, and sleeps 12 people. 45 miles. Lyndhurst in Highampton, Devon, and sleeps 12 people. 42 miles. Phoenix Cottage in Appledore, Devon, and sleeps 6 people. 36 miles. Lodge House in Salcombe, Devon, and sleeps 8 people. 48 miles. Pusehill Barn in Bideford, Devon, and sleeps 10 people. 33 miles. The Linney in Tamar Valley, Cornwall, and sleeps 2 people. 24 miles. Higher Westcott Farm in Moretonhampstead, Devon, and sleeps 12 people. 45 miles. Spindrift in Bideford, Devon, and sleeps 6 people. 36 miles. Little Barn in Kingsbridge, Devon. 43 miles. Treworgie Barton in Bude, Cornwall, and sleeps between people. 9 miles. Dunley Farmhouse in Newton Abbot, Devon, and sleeps 11 people. 48 miles. Shore Break in Braunton, Devon, and sleeps 5 people. 39 miles. Bottor Rock Lodge in Bovey Tracey, Devon, and sleeps 10 people. 47 miles. 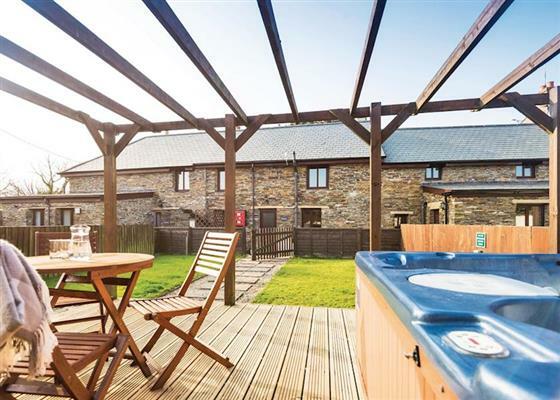 Gooseham Barton Farm Cottages in Morwenstow, Cornwall. 20 miles. Forda Hill Farm in Barnstaple, Devon, and sleeps 12 people. 39 miles. Collacott Farm Cottages in South Molton, Devon. 43 miles. Heathersett in Instow, Devon, and sleeps 6 people. 36 miles. The Headmasters Cottage in Callington, Cornwall. 19 miles. Drake House in Hope Cove, Devon, and sleeps 10 people. 48 miles. Cobesta House in Falmouth, Cornwall, and sleeps 12 people. 38 miles. Mer-boes in Portwrinkle, Cornwall, and sleeps 6 people. 28 miles. Spindrift in Thurlestone, Devon. 47 miles. Trevalley in Pendoggett, Cornwall, and sleeps 6 people. 6 miles. Thorn Cottage in Chagford, Devon, and sleeps 6 people. 38 miles. Southgate in Barnstaple, Devon, and sleeps 14 people. 41 miles. South Riding in Thurlestone, Devon. 47 miles. Chy An Huder in Cury, Lizard Point, and sleeps 12 people. 48 miles. Glebe House Cottages in Holsworthy, Devon, and sleeps 35 people. 16 miles. Mariners House in Bideford, Devon, and sleeps 10 people. 33 miles. The Old Vicarage in Penzance, Cornwall, and sleeps 10 people. 47 miles. Pamflete House in Flete Estate, Devon, and sleeps 18 people. 42 miles. Amberstone Manor in Chulmleigh, Devon, and sleeps 24 people. 42 miles. Cullaford Cottage in Combe, Devon, and sleeps 4 people. 42 miles. Four Seasons Barn in Torrington, Devon, and sleeps 13 people. 28 miles. Buckland Barn in Great Torrington, Devon, and sleeps 12 people. 28 miles. Candlelight Cottage in Littlehempston, Totnes, and sleeps 10 people. 49 miles. White Shores in Praa Sands, Cornwall, and sleeps 11 people. 48 miles. Sherrill Farmhouse at Sherrill Farm Holiday Cottages in Tavistock, Devon, and sleeps 22 people. 21 miles. Pond House in Bigbury-on-Sea, Devon, and sleeps 10 people. 46 miles. Belle Rives in Newquay, Cornwall, and sleeps 10 people. 23 miles. Barwick in Okehampton, Devon, and sleeps 12 people. 34 miles. Wild Goose Barn & The Creamery in Kingston, Devon, and sleeps 12 people. 44 miles. Lowena in Tregonetha, Cornwall, and sleeps 6 people. 17 miles. Kennacott House at Kennacott Court Cottages in Widemouth, Cornwall, and sleeps 11 people. 12 miles. Fiddlers Green in St Mawes, Cornwall, and sleeps 12 people. 37 miles. Blue Seas in Mawgan Porth, Cornwall, and sleeps 11 people. 19 miles. Lanxton Barn in Coad's Green, Cornwall, and sleeps 10 people. 16 miles. 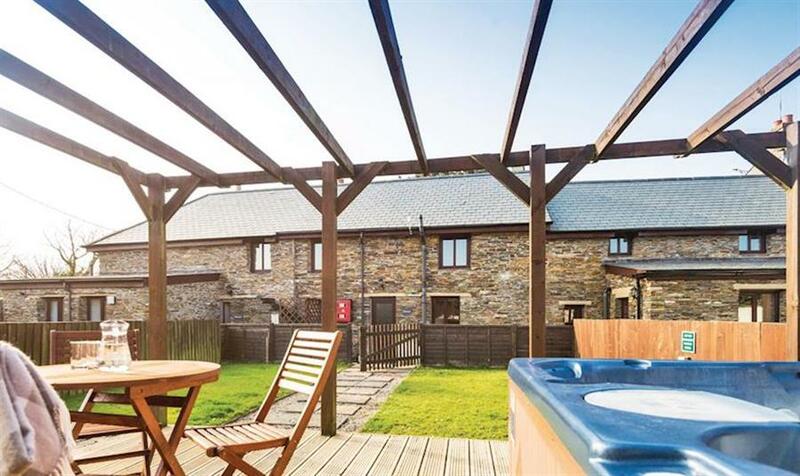 Helsett Farmhouse in Boscastle, Cornwall, and sleeps 10 people. 2 miles. Drewstone Farm Cottages in South Molton, Devon, and sleeps 6 people. 48 miles. Place House in Bideford, Devon, and sleeps 6 people. 33 miles. The School House in Coryton, Devon, and sleeps 6 people. 24 miles. Fistral Lookout in Newquay, Cornwall, and sleeps 4 people. 24 miles. Cox Hill House in Chacewater, Cornwall, and sleeps 10 people. 35 miles. Willey Barn in Okehampton, Devon, and sleeps 6 people. 36 miles. Old Farm House in Coverack Bridges, Cornwall, and sleeps 8 people. 44 miles.